I am very passionate about geography - about understanding the world, its beauty, and geopolitical origins of modern countries. When Smarty was young, we did a lot of geography at home, but... nothing really stuck with her at that time. This is why I was thrilled when I found out that her school does not do traditional history in the 8th grade, but does Human Geography instead. I was a little less thrilled when one of the first assignment was to memorize and to be able to label all the countries of Asia on the blank map. Smarty never really had to memorize something before, and at first she found this assignment daunting. But, she studied the map a little bit every day and within a week she was able to breeze through all 62 countries and 10 bodies of water that she had to remember. It was interesting to see how proud she was of herself when she received 100% on this test (and, by the way, she was not the only one in her class to nail it, about 50% of her classmates did it too). She told me afterwards, "You know, I always thought I have bad memory, but it turns out I can remember things just fine.". Now she is busy getting ready for her next quiz - a map of Africa. 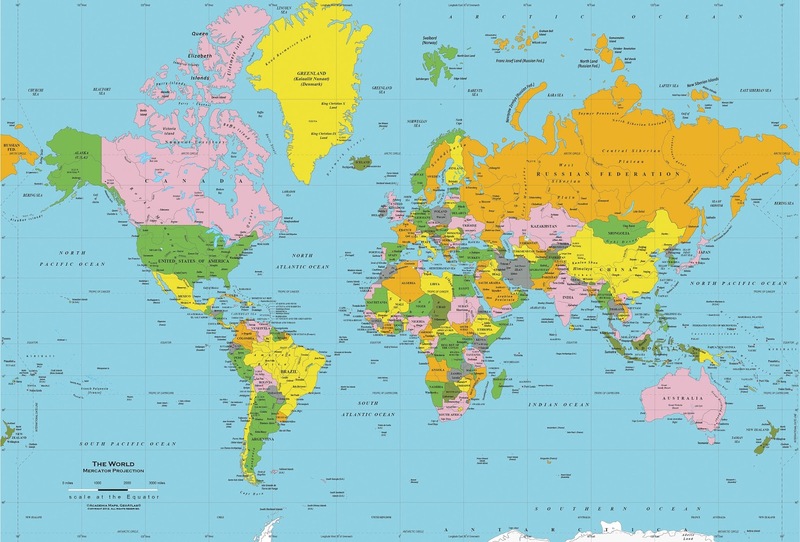 By the end of the year the students are expected to be able to point out every country of the world on the blank map. Of course students don't just study a map in geography. They also have a book and the curriculum that is moving at a rather brisk pace. The first topic was a deep dive into various types of maps, and now they are studying Asia. It's interesting to hear from Smarty what they are discussing in class - oil production and transportation, geopolitical importance of Turkey, ecological disaster of the Aral Sea. Their geography teacher traveled a lot and lived in several countries, so he brings some personal experiences to these discussions. One thing that Smarty really relishes is a total absence of worksheets. Students sit together around the round table and discuss the chapter they are on now. Sometimes they watch videos, but most of the education in all subjects are "seminar style" - students do most of their writing (if it even exists) as homework and then discuss it in class. It's interesting to see how much Smarty is picking up from these conversations in the classroom - she is a child who readily connects the dots when more "dots" are available to her. I am so excited to see her appreciating geography and getting interested in geo politics now - something that she would have missed entirely had she stayed in a public school (there was very little modern geography in her social studies track and it's an elective subject in high school). Now I feel a lot more confident that she will become "the world citizen" despite the fact that her school does not advertise it as one of the main goals of students' education. Do your kids enjoy geography?